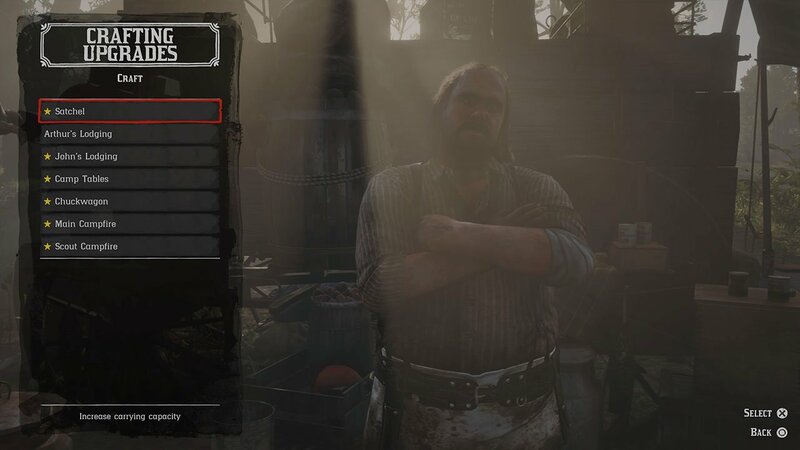 The Satchel in Red Dead Redemption 2 acts as your inventory, where you will store items such as provisions, tonics and items to donate to camp. Bigger items such as weapons and outfits will be stored in your horse Satchel instead. It’s incredibly easy to fill up your satchel, requiring constant trips to the general store or back to camp to donate items. Luckily though, you can upgrade your Satchel so that you can store more items. Below, we have a quick guide for increasing your inventory size. Whilst we’ve covered more guides for Red Dead Redemption 2 here. To upgrade your Satchel, you’ll need to head to Pearson at your camp. 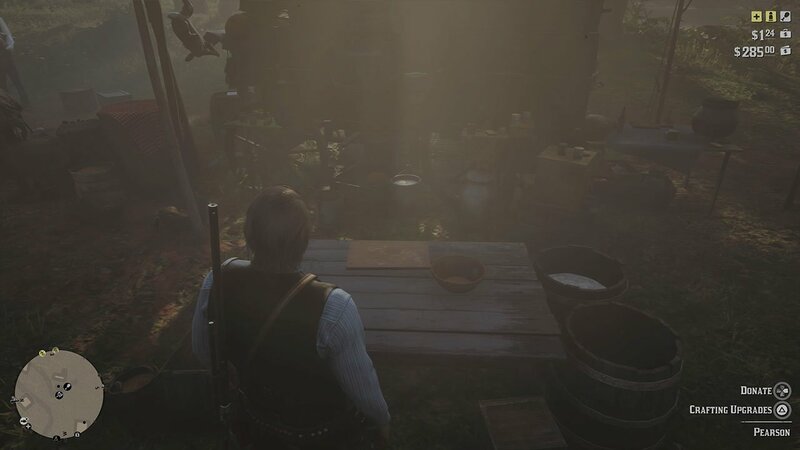 If you don’t know where this is, look for the food icon on your map in camp. Once there, choose the ‘Crafting Upgrades’ option. Once in the Crafting Upgrades window, you will see a list of items that you can upgrade, with the first being the Satchel. Choose this option to increase your inventory size. You’ll notice that this will require perfect pelts. You can inspect animals before you kill them to see their pelt quality, although we’ve covered this in a little more detail here.